Kick off your visit on the 29th (Wed): test your problem-solving skills at popular escape rooms, let the kids burn off some steam at Adventure Park, then take in the spiritual surroundings of St Henry's Ecumenical Art Chappel, and finally hike along The Archipelago Trail. 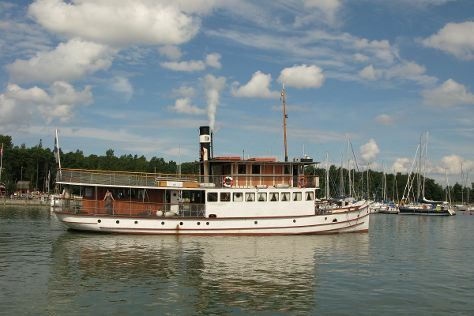 For maps, other places to visit, where to stay, and other tourist information, use the Turku online holiday maker . Toronto, Canada to Turku is an approximately 16.5-hour flight. You'll lose 7 hours traveling from Toronto to Turku due to the time zone difference. Plan for a bit cooler temperatures traveling from Toronto in May, with highs in Turku at 17°C and lows at 5°C. Cap off your sightseeing on the 29th (Wed) early enough to go by car to Kimito Island. Kick off your visit on the 30th (Thu): expand your understanding of the military at Oro. Here are some ideas for day two: visit a coastal fixture at Archipelago National Park. To find maps, more things to do, traveler tips, and other tourist information, read Kimito Island trip planner. You can drive from Turku to Kimito Island in 1.5 hours. Another option is to take a bus. In May, daytime highs in Kimito Island are 17°C, while nighttime lows are 5°C. Wrap up your sightseeing on the 31st (Fri) early enough to travel to Rosala. Kick off your visit on the 1st (Sat): examine the collection at Rosala Viking Centre and then visit a coastal fixture at Bengtskar Lighthouse. To see other places to visit, more things to do, photos, and other tourist information, read Rosala vacation planner . Traveling by car from Kimito Island to Rosala takes 1.5 hours. Expect a daytime high around 17°C in May, and nighttime lows around 5°C. On the 1st (Sat), wrap the sightseeing up by early afternoon so you can travel to Nagu. To see traveler tips, ratings, other places to visit, and tourist information, read our Nagu trip itinerary builder tool . Traveling by car from Rosala to Nagu takes 3.5 hours. June in Nagu sees daily highs of 20°C and lows of 9°C at night. You will have some time to spend on the 2nd (Sun) before leaving for home.